Poker Slam #10 Is Around the Corner! Head Coach Chris Finn (with help from Asst. 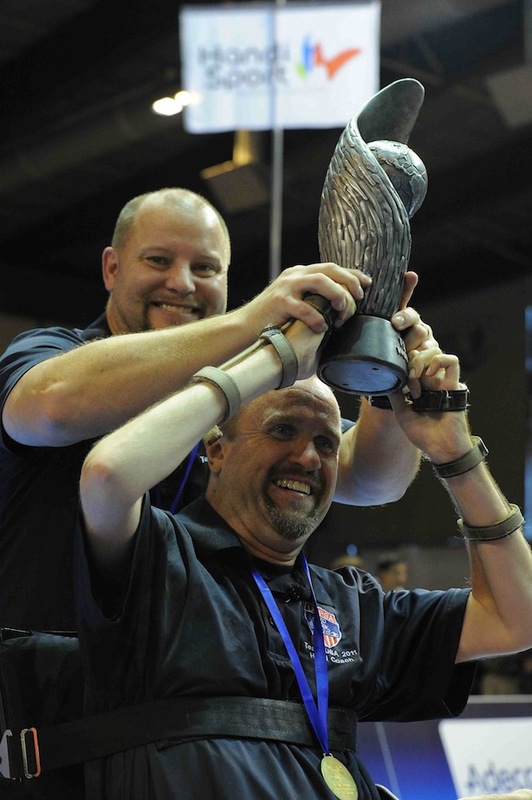 Coach Mike Hayes) holds up World Cup trophy in victory. Featuring an evening of thrills and chills at the poker tables in support of BORP’s Power Soccer Program. AND in addition to the cards: Delicious food, refreshing beverages, a prize studded raffle and silent auction and wonderful company! No poker knowledge or skills necessary! Jake Bath moving the ball. 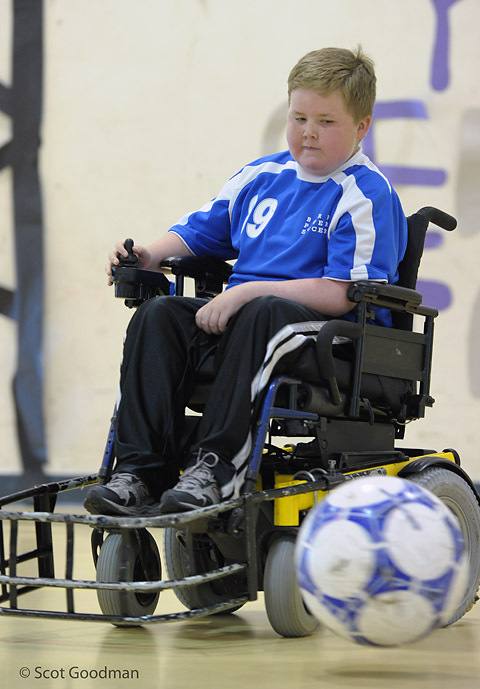 2013 marks the 25th year of BORP Power Soccer, the first power soccer program in the USA! 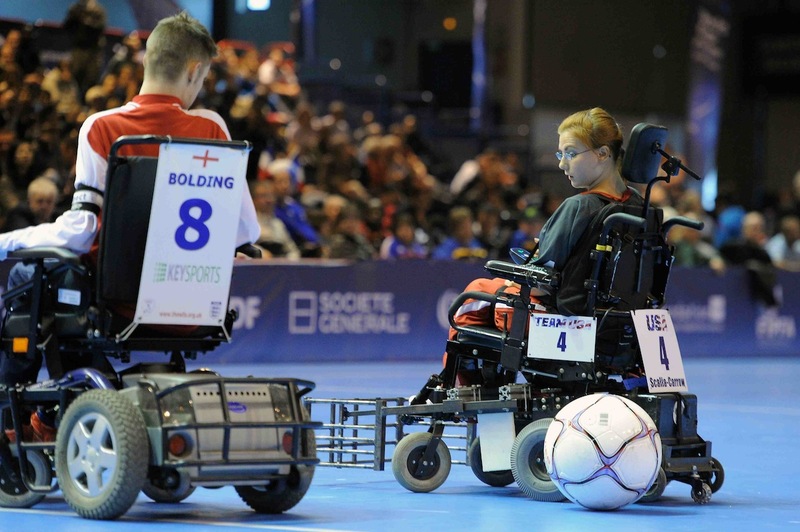 During those years BORP has introduced hundreds of athletes to the “beautiful game” and has been a national and international leader in the development of the sport. Led by Chris Finn (also BORP’s Head Coach) Team USA has won the World Cup twice (2007 and 2011) the only USA national soccer team to win consecutive World Championships. Meet Coach Finn and Team USA starter Kendra Scalia and have your picture taken with the World Cup trophies. Kendra Scalia at the World Cup. Poker Slam registration will open the first week of January, 2013. Want to donate a Prize? Wine? Beer? ? etc.? Shoot me an email or give me a call. In their first games of the season the Crushers showed great competitiveness, spirit and execution on set plays as they went 1-1. In their first game a tense back-and-forth struggle between the San Jose Rockets and the Crushers looked like it would end in a 1-1 tie. However with less than a minute to go precise passes on a corner kick from Jake Bath and Ian Kinmont were deftly converted into the winning goal by Ruby Shemaria. Crushers win 2-1! Jake Bath had the first goal for the Crushers. A tip of the hat to Coaches Evonn Balcziunas and Travis Bath for calling for the set play that led to the score. Game 2 pitted the Crushers against a very experienced Hollister side that has the personnel to score in bunches. The Crushers managed a great defensive effort but couldn’t find their offensive mojo and took a 2-0 loss. Every Crusher (April Bryant, Milo Balcziunas, Jake Bath, Ian Kinmont, Stanley Kuang, Cosmo Rudd, Ruby Shemaria, John Starks) contributed to the wonderful day for the team. New Crushers Cosmo Rudd and Stanley Kuang played in their first games ever and performed like veterans in their debuts. Thanks to all the friends and families for making it to Alviso to support the team.